For the second year running Kylemore College’s Minor, Junior and Intermediate teams were in their respective CDETB finals. 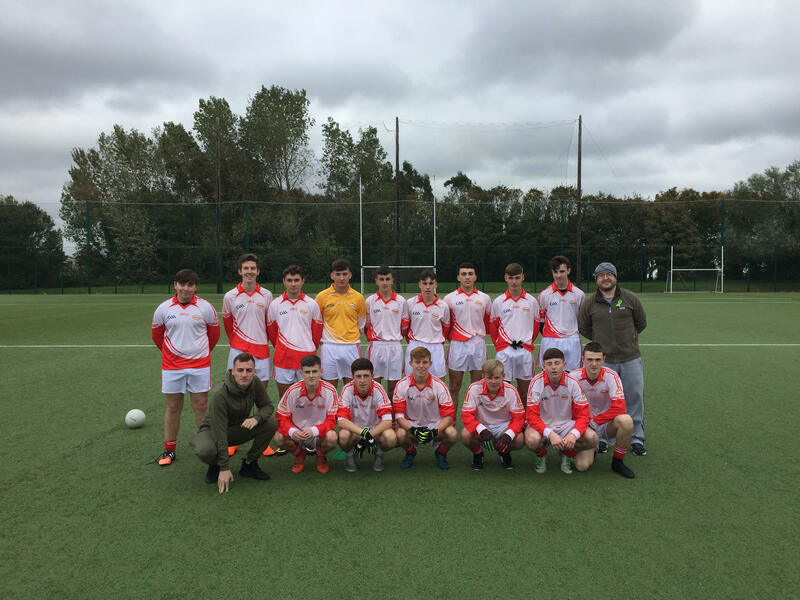 The minors who were captained by Darren Keating won two out of three of games in their qualifying blitz in Clontarf and earned their place in the final against Larkin College. There were standout performances from Darren Keating, Kian Tracey, Craig Watt, Evan Harmon and Jamie Corish. However the lads were just beaten despite valiant efforts from all the squad. This was their first season playing together and they have showed that the future is very bright for Gaelic football in Kylemore College. The Junior team won all three of their qualifying games in Terenure and well earned their place in the final. The team who were captained by Jake Kelly proved a formidable force and are deserving CDETB Champions for 2018/2019. Aaron Corish was awarded man of the match for the final not just for his scores but his phenomenal work rate and attitude across the pitch. Cian Kelly provided the strength and consistency needed in the full back line to help Kylemore College to a well deserved win. The Kylemore College Intermediate team faced familiar opposition in the final in the form of Larkin College. The lads who were captained by Luke Kelly started off the game extremely well and continued this form for the duration of the game. With great scores from the likes of Dane Brennan and a huge amount of running from Dillon Withero and company Kylemore College proved themselves well deserved CDETB Champions for 2018/2019. In the Leinster Post Primary School’s competition Kylemore College’s u14’s team got off to an absolute flyer against Synge Street CBS before the midterm. The whole team played as a solid unit. They played so well they earned the accolades from the opposition coach and ref. Onwards and upwards for GAA in Kylemore College.